Podcast Winterfell 115: A Storm of Swords 5 – Spoilers! Otherwise Matt is joined by Ken (@klbardster), John (@JohnMarius), and Bubba (@FittenTrim) to discuss the chapters Sansa II, Arya III, Samwell I, and Tyrion III. Podcast Winterfell 114: A Storm of Swords 4 – Spoilers! Otherwise Matt is joined Tracee (@Tracee2ez) John (@JohnMarius) and Bubba (@FittenTrim) to discuss the chapters Tyrion II, Arya II, Catelyn II, and Jon II. Like the podcast? Something we can do to improve the podcast? Leave us a review on our itunes page or give us a thumbs up on Stitcher. Podcast Winterfell 113: A Storm of Swords 3 – Spoilers! Otherwise Matt is joined John (@JohnMarius) and Bubba (@fittentrim) to discuss the chapters Daenerys I, Bran I, Davos II, and Jamie II. 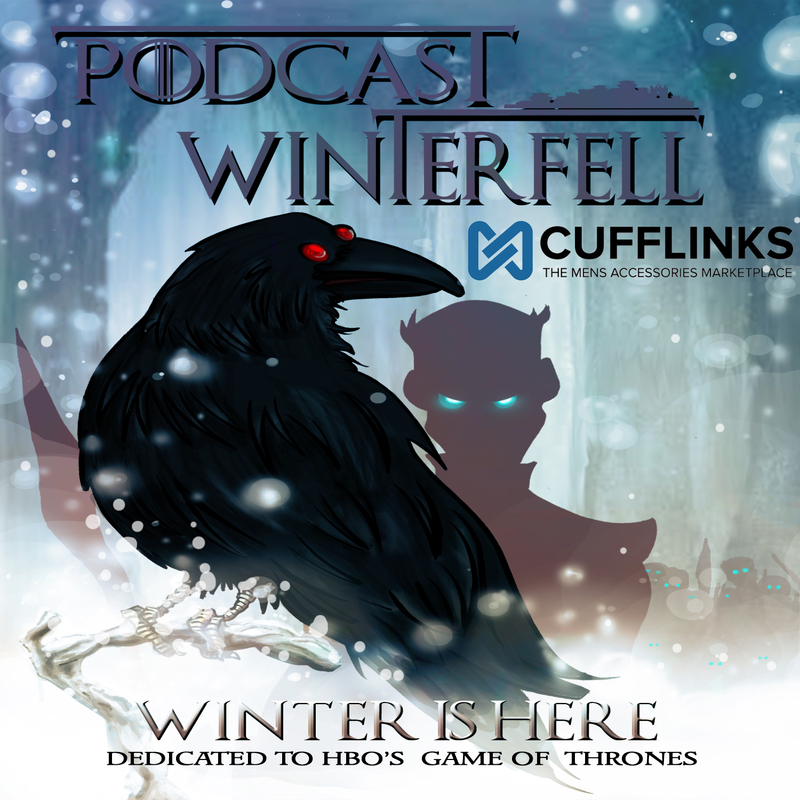 Podcast Winterfell 112: A Storm of Swords 2 – Spoilers! Otherwise Matt is joined by Ken (@klbardster), Tracee (@Tracee2ez), John (@JohnMarius), and Bubba (@fittentrim) to discuss the chapters Tyrion I, Davos I, Sansa I, and Jon I.
Podcast Winterfell 111: A Storm of Swords 1 – Spoilers! Otherwise Matt is joined by Ken (@klbardster) and Bubba (@fittentrim) to discuss the chapters Prologue, Jamie I, Catelyn I, and Arya I.